At Pinnacle, we believe exceptional service should mean we are always ready when you need us. Whether you need us at 3:00 pm or 3:00 am, we are ready and waiting to serve you. Our 24-hour repair service means when your furnace goes out on the coldest night of the year, we’ll be there quickly to get you back to comfortable in no time. 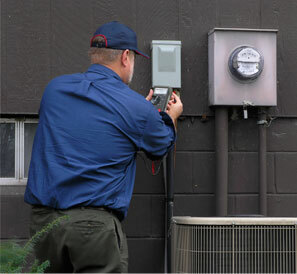 And when your air conditioner breaks on the hottest day of the year, our techs will have it up and running in a jiffy. Because we strive to reach the pinnacle of customer service, our technicians are a cut above the average. Our technicians receive special training to know how to work on all furnaces and air conditioners not matter how old or what make or model you own. They are also background checked and drug tested for your peace of mind. They will leave your home or business as neat (or neater) than they found it and always treat you with respect.